Fall is such a fun time of year. The weather is cooling down, the holidays are coming, and pumpkins are everywhere! I don’t know about you, but I love pumpkins- but I really dislike just carving them a letting them rot! 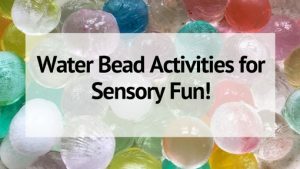 So, if you have a pumpkin or 2 hanging around the house and kids that are in need of some fun sensory activities, try out one of these 9 pumpkin sensory activities for fall fun! 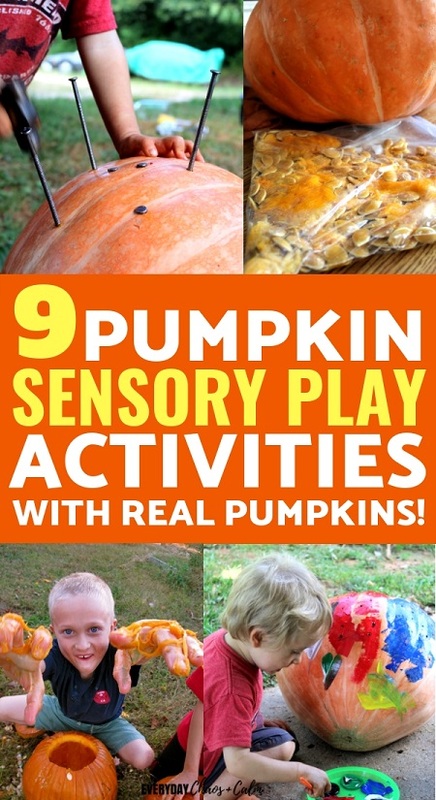 9 Pumpkin Sensory Activities for Fall Fun! Kids love playing with water. Add some soap and bubbles- it’s even more fun! 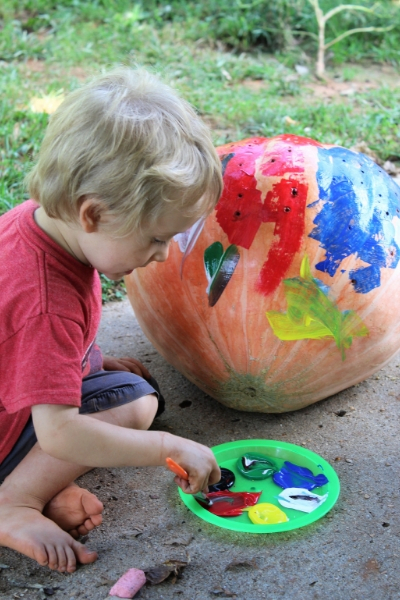 So let’s take that love of water and add some fall to it- and you get a super fun pumpkin washing activity! 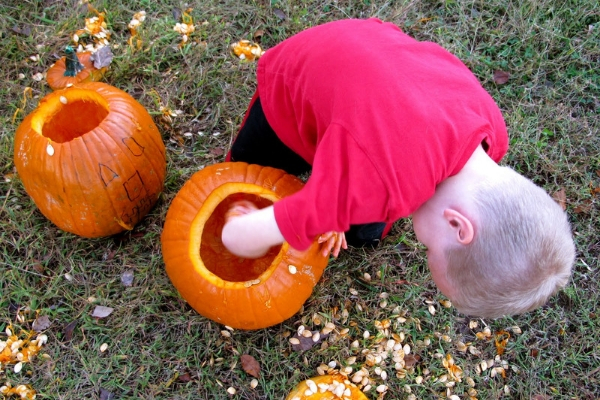 You can set up a pumpkin washing sensory activity a number of ways. You can do one big carving pumpkin, with a bucket of soapy water and scrubbers (you can get some fun ones!) or set up a big tub of water and soap and get a few small or tiny pumpkins to wash and scrub. Or maybe even making a bubble pumpkin pie! This is an obvious one- but don’t over look the sensory aspect of pumpkin carving! Let your kids do the designing and let them do the hollowing out. 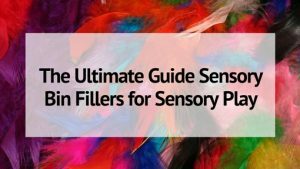 It’s the ultimate pumpkin sensory experience! And it’s one they can proudly display! Slime is all the rage right now and kids of ALL ages love to play with and make slime. So what does that have to do with real pumpkins? Little Bins for Little Hands has a fun slime recipe that includes a REAL pumpkin! How fun is that?? 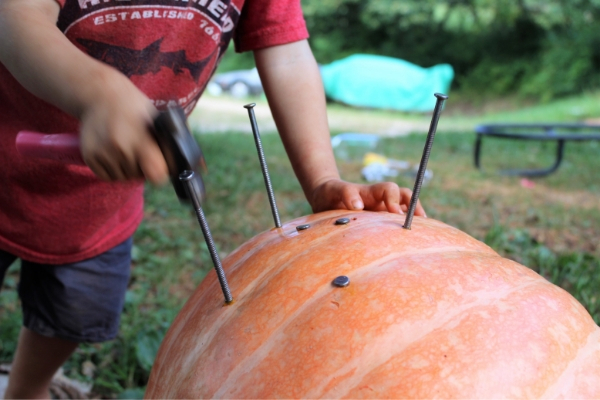 Check out how to make pumpkin slime– with real pumpkins with your kids this year! We love using real tools around here. 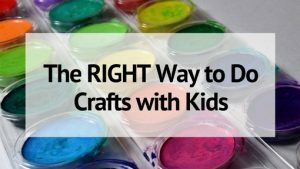 They are great for fine motor skills and it’s just exciting to use the real deal like mom and dad! Get out your little hammer and some long nails and let your kids go to town hammering them into the pumpkin! If you don’t want to use real nails- like for very young kids- golf tees can work really well for this too. You may also like: Fruit Loop Hammering Fun! Pumpkin Volcano?? Are you intrigued? We all love the timeless vinegar and baking soda volcanoes….but what happens when you put it in a pumpkin?? Take a hollowed out pumpkin- add some baking soda then the vinegar and stand back! You can even do this post-carving and see the volcano explode out of the eyes, nose and mouth! Maybe add some food coloring for extra fun?? The thing about carving a pumpkin is that once it’s done your jack-o-lantern is on a clock. 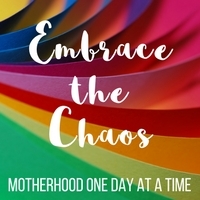 In a matter of days it will start to mold and rot. BUT if you wait to carve you can have a lot of pumpkin sensory fun BEFORE you carve! Like pumpkin painting! My youngest loves to paint and paint and paint. Mixing colors and layers. My older kids have painted their pumpkins like minions, Monsters Inc Monsters, and candy corn! And you can always give the pumpkins a good wash- and start again! Who here had a Mr. Potato Head? Or maybe you have one now? What about a Mr. Pumpkin Head?? Take your pumpkin and cut up some veggies- cucumber rounds, carrots, potatoes, etc and add a skewer to the end of your cut veggies. Stick the other end of the skewer into the pumpkin to create faces! Carrot nose, olive eyes, zucchini ears. Mix and match and move the pieces around for brand new faces. What do you do with the pumpkin gunk after carving?? You don’t just throw it in the compost right away do you? 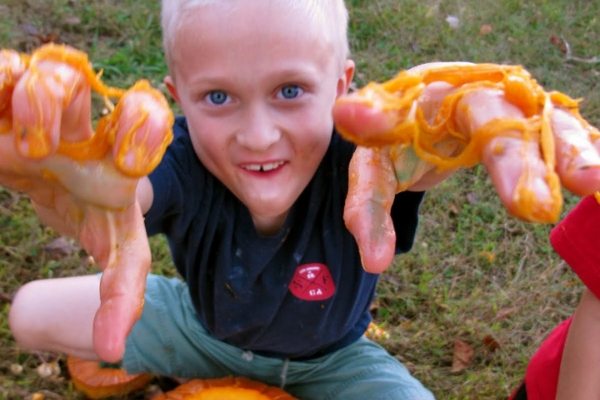 That pumpkin gunk is great for sensory play! It’s like nature’s slime! Squish it, pound it, count the seeds in it. Pretend you’re a pumpkin gunk monster! And if you have a very little one and you are worried about choking on seeds? Take all that pumpkin gunk and place it in a gallon size ziploc bag and create a pumpkin sensory bag!! What are your favorite pumpkin activities? ?